Vhi is Ireland's leading health insurer and has been in operation for almost 60 years. As well as private health insurance, Vhi provides a range of healthcare services for its customers including Vhi HomeCare, Vhi Medical Centres and Vhi SwiftCare Clinics. 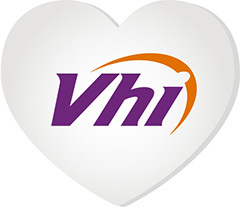 Vhi’s overall business vision is enabling our customer’s live longer, stronger, healthier lives. Vhi has a long history of supporting activities that promote healthy lifestyles and the relationship with parkrun deepens Vhi’s support of participative running. It means that Ireland’s leading health insurer will play a significant role in supporting more and more people nationwide to lace up their runners, get active and take part in a running event. Healthy Ireland is the national framework for action to improve the health and wellbeing of people living in Ireland. Regular physical activity is the key to getting and staying healthy and the benefits of participating in physical activity and having an active lifestyles for health and wellbeing are well documented. Mass participation and community events have great potential to get and keep people participating in physical activity and we are delighted to be a proud supporter of parkrun.